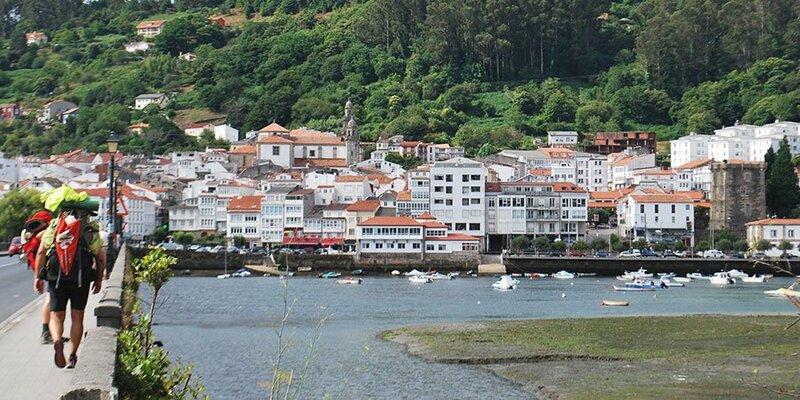 If you are starting your journey from Ferrol in the Spring, you might get a chance to experience the city’s most famous festival. Easter is a big deal in Ferrol and one of the most important in Galicia, with events and parades featuring centuries-old images taking place during the whole week. These parades, or ‘processions’, despict the Passion of Christ and different related episodes and can be really emotional. 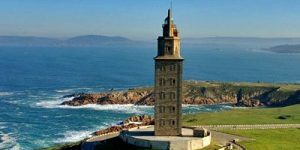 If you are starting from A Coruña, a visit to UNESCO-listed Hercules Tower is a must. 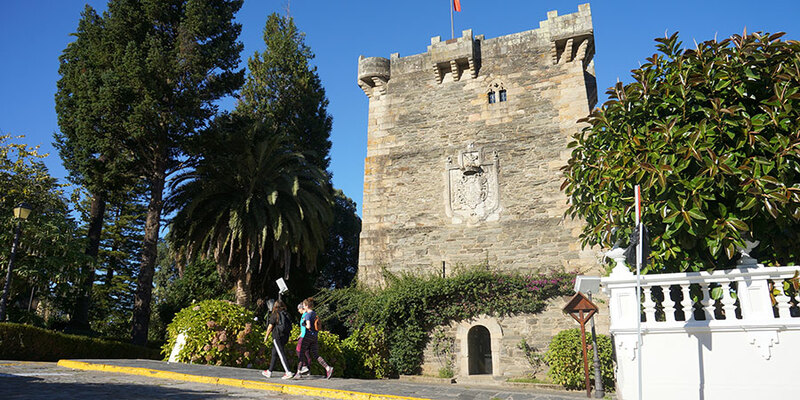 The tower is an impressive lighthouse built by the Romans in the 1st century and has been the symbol of this lively city by the sea ever since. According to legend, it is from this spot that Ith, son of Celtic chieftain Breogan, set sail to Ireland after seeing it from the top of the tower. 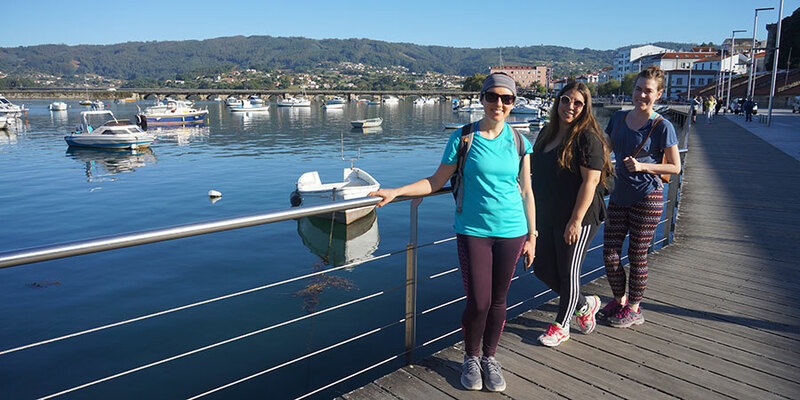 The first three days walking the Camino Ingles from Ferrol, you will enjoy views of the bays of Ferrol, Ares and Betanzos. You’ll also have a few opportunities to go for a dip in the sea, as you will be passing sandy beaches such as Madalena beach outside Pontedeume and Praia da Alameda in the tiny coastal village of Miño. If you are starting in A Coruña, Riazor and Orzan beach are some of the locals’ favourite spots for balmy days. The Andrade Tower, overlooking the bay in the pretty coastal town of Pontedeume, is another iconic building along the Camino Ingles. 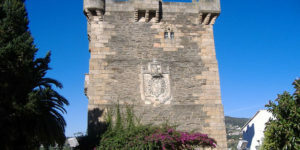 Built in the 14th century, the tower is the last remaining building of the former palace of the Andrade family, who ruled Pontedeume for two centuries. The old town in Betanzos is probably our favourite spot along this route. 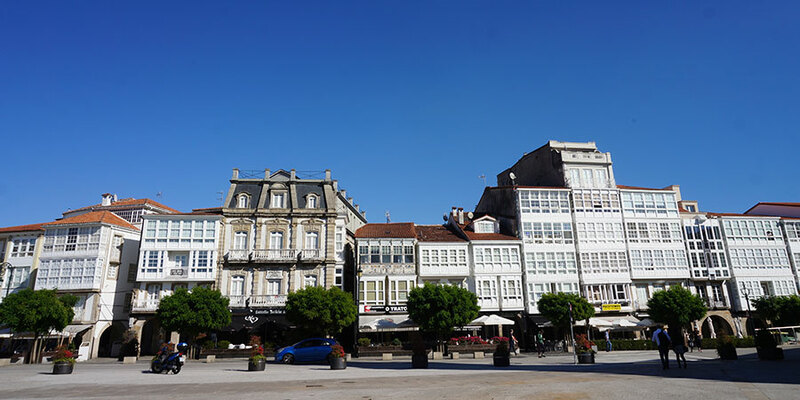 From its medieval gates to white balconies and Romanesque churches, Betanzos’ historic centre is one of Galicia’s prettiest. Betanzos is also famous for its oozy ‘tortilla’ so we recommend you sample the goods. It is also one of the few places in Galicia where you will be able to experience authentic homemade food in the humble rustic ‘furancho’, a kind of secret bar where locals used to sell their own wines and tapas for very reasonable prices. 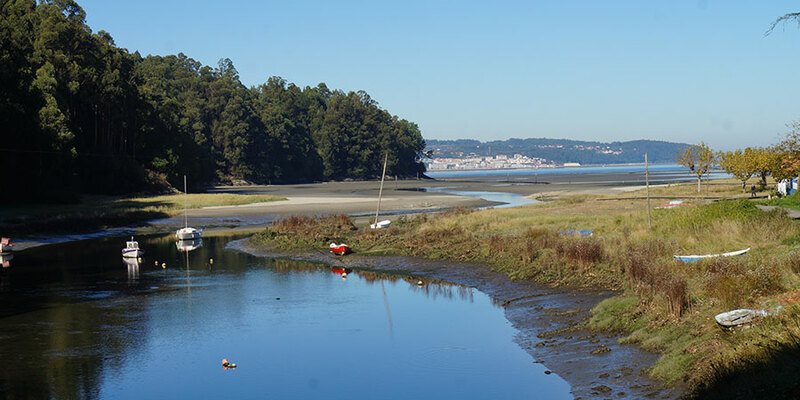 While the journey from Ferrol is quite urban, never too far from little towns and villages… after Betanzos you will start to feel the trail changing. Hamlets become more few and far in between; giving way to more crops and meadows, extensive farmland and forest tracks. Setting off for the day as the sun rises and the fog softly lingers over the corn fields is quite special. 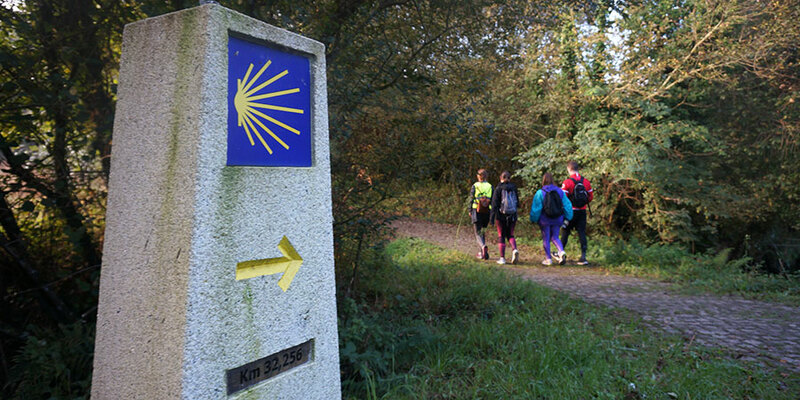 As with any other route, people make your Camino and the Camino Ingles route is no different. While you won’t encounter as many pilgrims along the way as on the Camino Frances, be prepared to receive the kind and friendly welcome and greetings of many locals as you walk past their homes or backyards. Buen Camino or Bon Camiño can be expressed in many different ways… a curious look and half smile as you struggle up a hill also count! 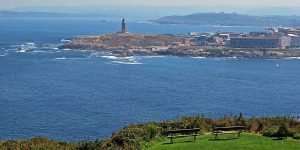 Can you see Ireland from the Tower of Hercules?